If you were to ask most people they could probably name several famous men who had achieved something significant in their lives, but if you were to ask the same people if they could think of any women who had achieved similar things then they would be hard pushed to name one or two in the majority of cases. Women are just a capable as men in achieving things that they set out to do, it is just we tend to hear about the men. 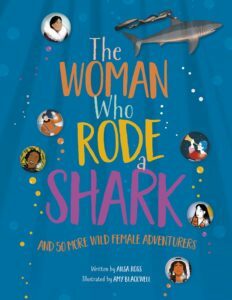 In this book there are the profiles of fifty women who have forged their own paths, climbed trees and mountains, flown and sailed solo around the world, crossed deserts, became spies and as the title says there is the profile of one woman, Kimi Werner, who rode a Great White shark. Sadly most of the women mentioned in here are not household names, I had only heard of a handful of them, but they should be. So if you want to know what Manon Ossevoor, Diana Nyad and Wang Zhenyi had achieved then you need to read this book. Thanks for the lovely review, Paul. 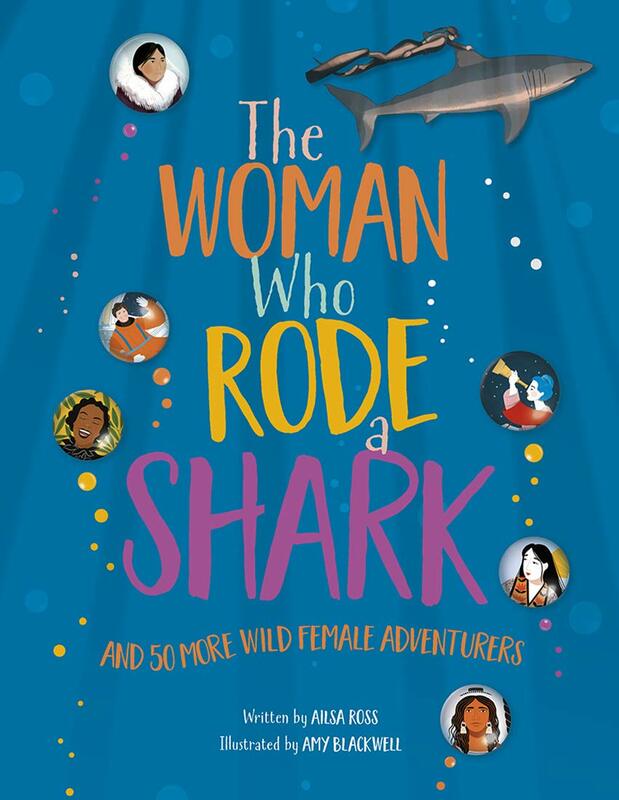 It was so fascinating getting to know the stories of these women adventurers from around the world. Also I’m just looking at your virtual bookshelf to the right of this comment box, and I’m so curious to hear how you’re finding Out of the Woods. You are very welcome, Ailsa. I have several others along this vein as improving circumstances for my daughters as they start the process of looking at careers is important to me. I haven’t quite got to that one as yet as a lot of other books got in the way first. Hopefully, next week, as it is not a long book.